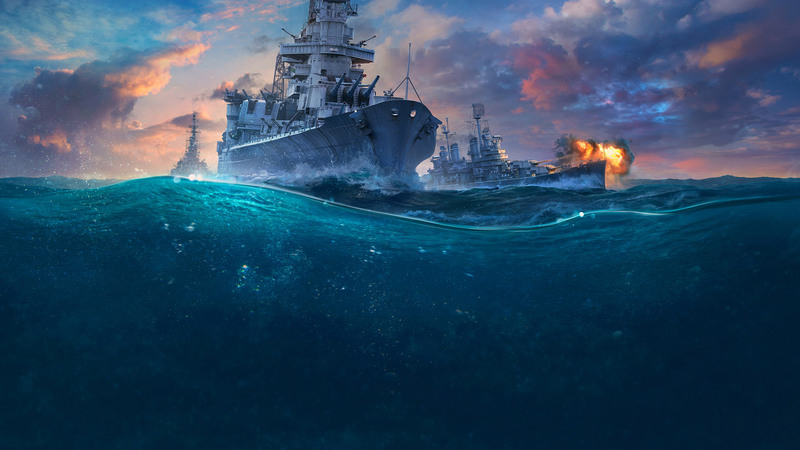 When update 0.7.5 goes live, players who had tier VI cruiser Cleveland in their ports will receive tier VI cruiser Pensacola (in the same configuration as the tier VI Cleveland) and tier VIII cruiser Cleveland. Since Cleveland’s commander will move over to Pensacola and these ships are significantly different in the choice of optimal commander skills, there will be a special combat mission available from the release of the update until June 29th. It will require players to complete a single battle in any mode on the new Pensacola. Once the requirements are met, players will receive 190 000 elite commander XP. This will allow players to reassign the commander skills for free. A ship to be replaced will remain available to the player in stock configuration on new tier (In the Port if it was purchased or in the researched state if it was researched). The replacement ship will be added to the player’s account together with a port slot (if the replaced ship has been purchased) or will become researched (if the replaced ship has been researched). Replacement of modules will be carried out by means of adding similar modules for the new ship to the player’s account, or by reimbursement of their cost in XP (added to the new ship) and credits. For the replaced ship, its Commander’s specialization will be changed to the ship of the corresponding tier in the main branch. For the second ship, a new Commander will be added to the player’s account and bonus Commander XP. If a purchased permanent camouflage was mounted on a ship to be replaced, it will remain mounted on this ship and a new permanent camouflage (for the added ship) will be added to the player’s account. Exceptions: Permanent special camouflages for Cleveland and New Orleans will remain with the ships and will NOT appear for ships taking their place in the new tech tree. i currently have Cleveland, Pensacola, New Orleans in my Port currently (that means 3 port slots are occupied). Will i be getting 3 port slots for free ? or i will get just the tier 8 Baltimore + 1 free port slot ? will i be getting the new branch equivalent tier ships for free when they come out ? As far as i understood it, you will only get a port slot in case of the Cleveland/Pepsi switch (as that is were an “extra” ship comes in) the others just jump down the ladder. So you get one slot out of it and that should be it. (though you can get a complete premium camo for free if you have the one for the Cleveland (the standart dobluon one/not christmas) as you keep the one o the Cleve and get one for the “new” T6 Pepsi also).